Some find peace in materialism, other in a strong connection to mother earth and her infinite treasures, it is time to find your jade connection. This game presents 5 winning lines, which you can play both right to left and left to right. 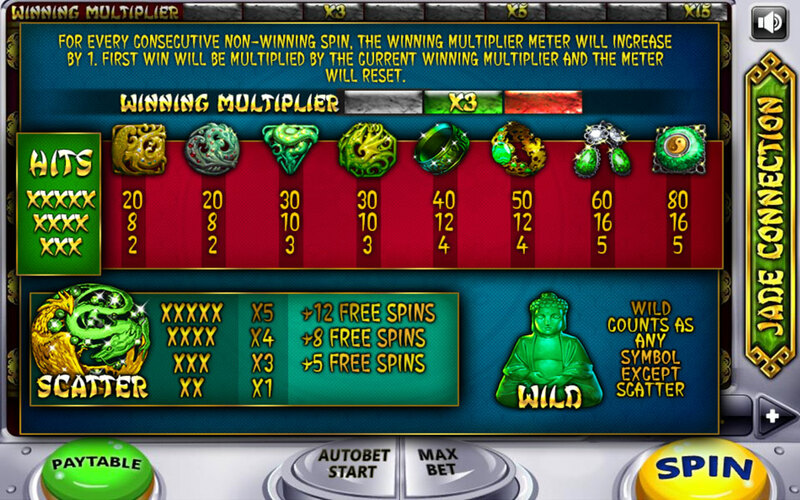 A Second feature we added is the winning multiplier, which will multiply your first win after every non-win round up to 15 times! We are also proud to present the Scatter bonus! 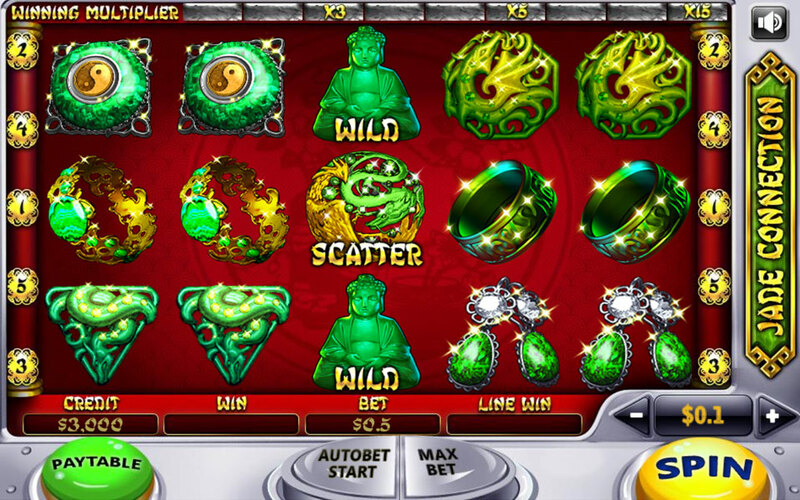 By receiving 2 scatters, you will receive your bet back, by receiving 3 or more will grant you up to 12 free spins!